Select a libation from a carefully curated menu of pre-Prohibition cocktails made the classic, "old-school" way and using housemade vermouth, unusual syrups like lavender and orgeat, extra large round ice cubes and an array of exotic salts. Try original-recipe drinks including the Café Smash, Burnt Bulleit, and a truly excellent Vieux Carre. A wine list selected by the Edgefield Winery staff includes bottles from $20 and up, including Edgefield vintages and many others. A special "Majestic" wine list (named for one of the building's past incarnations) includes a small selection of premium wines, such as the 2004 Chateau Pichon-Longueville Baron (Pauillac, Bordeaux, FR) or the 2004 Diebolt-Vallois ‘Fleur de Passion' Brut Champagne (Cramant, FR). 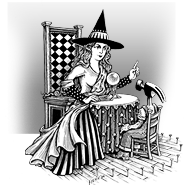 Also, you can enjoy a pint of McMenamins' finest ales, straight from the Crystal Brewery! 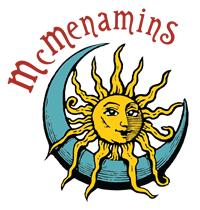 Beer available to go at all McMenamins locations. Ask your server or host for recommendations on cocktails, wines or ales to pair with your meal.